When you’re running your own business on a budget, one of the best ways to get ahead is to get financed, but many people are hesitant to get financial help, missing out on valuable opportunities. Many business owners miss out on huge opportunities because they lack capital. If you have good credit, it only takes a few hours to get your loan approved. Instead of slowly saving up money for your investment, you can receive your equipment quickly and start booking events right away. 2) Your business, your rules. Many business owners will take on a partner solely for the financial support. But with a partner, you have to share the profits. By financing directly through TapSnap, you can establish a payment plan based on your needs, and pay very low interest rates. You can have full control of your business, and keep 100% of the profits, too. Financing your business is 100% tax deductible. By consulting a tax professional, your overall tax savings could exceed your interest payment amounts, which means more money in your pocket at the end of the day. By financing a photo booth, you are investing in a source of income. As the business grows, your profits will increase, allowing you to easily make your monthly payments, and bank any additional profits made. The photo booth business is booming! Through referrals, repeat clients, and effective marketing tactics, the number of events you book should increase quickly - and you won’t want to turn anyone away. 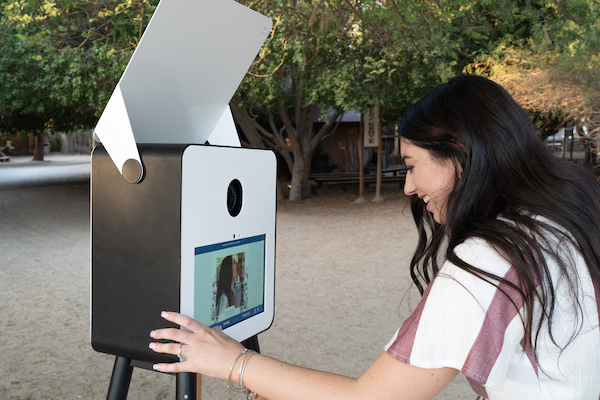 In order to grow and take on more events, you’ll want to add more photo booths to your business, and with some financing help, you will be able to expand your business quickly, without restrictions. Financing may seem like a big step for your business, but it will open doors to new opportunities. Start making profits sooner, and foster future growth by investing in your business today.